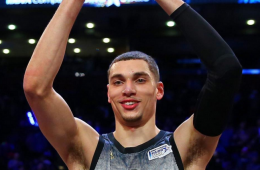 Minnesota Timberwolves high-flyer Zach LaVine became the fourth player in league history to win back-to-back Slam Dunk Contest. 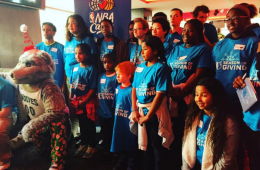 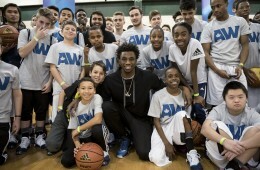 Andrew Wiggins welcomed hundreds of kids in his hometown to a new look Dufferin Clark Community Centre built to inspire the next generation of ballers. 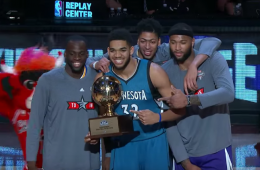 In the David vs Goliath Skills Challenge finals, Karl-Anthony Towns beat Isaiah Thomas. 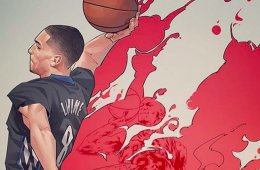 Zach LaVine continued the tradition of Minnesota Timberwolves guards winning the All-Star Rising Stars MVP award. 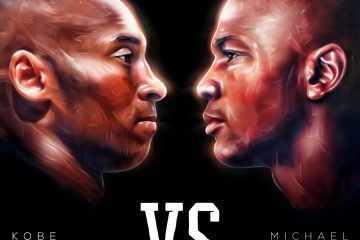 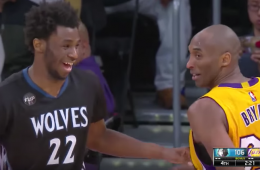 Andrew Wiggins looked great in his duel against Kobe Bryant, scoring 30 points and received high praise from the sure fired future Hall of Fame inductee. 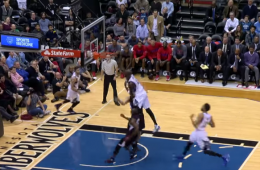 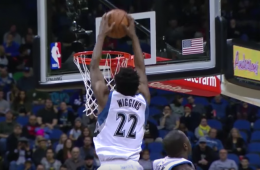 In a blowout loss to the Cavs, Andrew Wiggins got a little revenge against the team that dealt him for Kevin Love. 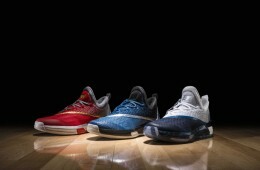 adidas unveils three new Andrew Wiggins PEs for the Crazylight Boost 2.5. 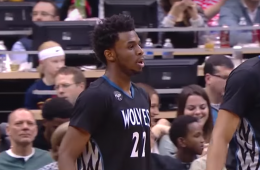 Andrew Wiggins made his case to become the Timberwolves regular starting two guard Friday night. 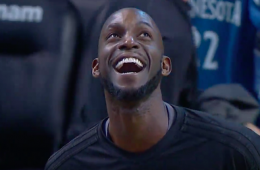 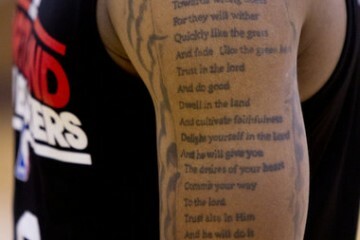 Racking up 32 points, a career-high 10 rebounds, plus six assists. 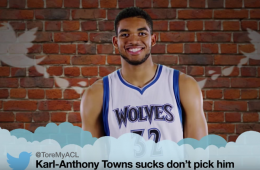 The Minnesota Timberwolves created their own version of Mean Tweets starring Karl-Anthony Towns, Shabazz Muhammad, Zach LaVine, and Tyus Jones. 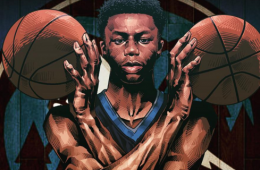 Artist Hyperthree Ye from Shenzhen, China captures Minnesota Timberwolves forward Andrew Wiggins comic book superhero style.